Why You Should Buy Things You Don't Need - Who Said Nothing in Life is Free? 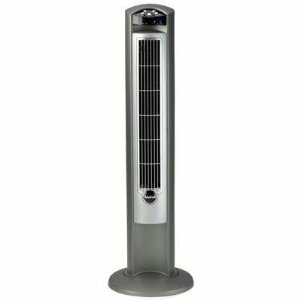 I have been wanting a Lasko Wind Curve Platinum 42-Inch 3-Speed Tower Fan with Remote Control for awhile but they are between $50 and $60. This week I bought a ton of Ecotrin at different Walgreens on the way home from the Nick hotel trip (they were $2, I used a $2 coupon, paid NOTHING and got a $2 RR each time). At the end of the day I ended up with a LOT of $2 RRs and had spent NOTHING out of pocket. Then the Neutrogena bar soap deal came up and I found several stores that had them so I turned my $2 RRs into $10 RRs. Today Jeff and I were at another Walgreens (near the “cricket” pet store) and they had 6 more bar soaps (3 @ $2.99 and 3 @ $2.69). Then Jeff calls across the store for me and says “They have the Lasko tower fan here!!! !” I was so excited!!! That made my subtotal $60.44 so I used 6 $10 RRs from the Neutrogena deal and paid 44� + tax. So my point is… if I hadn’t bought the Ecotrin earlier in the week, I would not have been able to get the tower fan that I have wanted for FREE!!! That's awesome! I love when things work out like that! I buy things I don't need, but am ending up with piles and piles of it. I donate to people I know that use the products and my church and a nursing home, but I'm finding it a chore to get rid of all the stuff I get for free. Is there a better way?? I did the same thing last year to get my tower fan. I love the fan too and early this year I got that huge topsy turvy thing for about $5 with RR's. Amanda- yard sales are where I get rid of most of my overstock but I also donate to a thrift shop/food bank. They might have one in your area so check it out they never turn down stuff. i have that fan. my sis gave it to me pretty much unused. i still don't really use it because our house stays cool even in 100 degree weather. hope you like it. I LOVE LOVE LOVE it…. keep my house SOOO cool without the bill of the AC having to be so much lower to cut this FL heat. What are RR’s? And how do they work? RR is a register reward….